UP Lekhpal & Group ‘C’ 10,000 Posts Recruitment Notification Will Release By UPSSSC Soon………Online Application Will Be Started Soon……………..Get The Detailed info. through the Image Given below…………..
Board of Revenue under Uttar Pradesh State Government, will be conducted the written examination for Lekhpal Recruitment on September, 2018. It is the most rushed examination in Uttar Pradesh state for year 2018 as more than 3 million applicants signed the attendance sheet of this recruitment test. Exam was on so big level that BOR & UPPSC took help of Tata Consultancy Services to hold the test peacefully. Lekhpal exam was conducted in morning shift & evening shift. Registrations accepted from July to August month. Admit cards issued in first week of September 2018. Written Test held in September. Answer keys issued after two weeks of exam commencement i.e in September end. Objection regarding answer keys were accepted till 5th of October. Result for UP Lekhpal Exam has been announced now. Lekhpal Notification & Application Form: Notification for lekhpal recruitment test 2018 was issued in June month. Up to 21st July, online applications were accepted for these posts. Registration dead line was later extended. Official website of the board conducting this recruitment drive is bor.up.nic.in where online registration details were shared. Dedicated web page was provided at https://uplr.digialm.com/EForms/html/form2536/index.html to fill up the application fee, form & taking its print out. : Lekhpal Exam was conducted as a objective type test for 80 marks. Total 100 questions were to be answered by the aspirants of this paper. Four sections were available in exam with 20 marks each : Hindi, Mathematics, General knowledge, Rural development. Time Table / Schedule: As registration were ended in July month so candidates were curios about exam conduction. Test date wasn’t notified at the time of recruitment test notification and even after one month of registration. But somewhere around in August month, department of revenue issued the schedule for UP Lekhpal Examination according to which exam date was fixed to be 13-09-2017. Exam Took place on 13th September: Finally after a long awaiting period, Lekhpal Recruitment 2017 Test was conducted under full control of Tata Consultancy Service (TCS) as it was big exam so the department decided to hire the private organization to hold the test. On second Sunday of September month, around 3 million candidates participated in this test of 90 minutes. Chakbandi lekhpal is being conducted by UPSSSC and up lekhpal is being conducted by UPPSC. Both are different vacancies. Answer Keys released: After two weeks of exam date, solved papers were made available at official Lekhpal website. Candidates were provided the facility to submit the objection regarding the exam solution up to 5th October, 2017. Finalized answer keys are still available on the site on the basis of which UP Lekhpal 2017 Result will be prepared and made available at the same web portal.
. These are the main websites that you must have been came across while applying the form and downloading the admit card. Interview: Once the lekhpal result is out for UP state, interview for 20 marks will be conducted for eligible aspirants. Approximately 40,000 candidates (3X of total vacancies) will be invited to participate in personality test (interview) which will be held around two weeks of result declaration. Selection Process: Candidates will be selected on the basis of combined merit list in Written Test (80 marks) and interview (20Marks). District wise selection list will be uploaded at the respective websites with category wise cut off marks. At that time, result for UP Lekhpal Recruitment Test 2018 are being processed and OMR sheets are being checked through computer operated machines. There are two ways of checking UP Lekhpal cut Off & Results, one is visiting the district specific websites while the other one is checking result at common website of the department which the candidates have been using so far for recruitment related purposes. Visit the official website where result has been placed as per the notification. Check the direct link for Lekhpal exam result and simply click it. On the opened web page, enter details like username & password. Submit the asked credentials to know your exam result & district particular cut off and merit list. Keep print out of displayed outcomes along with you for further reference. For candidates who passes in lekhpal recruitment test, will have to attend the interview for 20 Marks. Document verification will be done before interview on the same day. As soon as result for UP Lekhpal Exam September 2017 are released, we will be adding direct links to check the result. Till then you can share your views on this exam, written test experience and the cut off your are expecting for various districts and categories, using our comment form. Now the result for UP Lekhpal written test has been announced on December 12, 2017. Many online magazines had notified regarding this date. 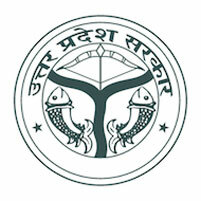 Uttar Pradesh Rajaswa Vibhag, Board of Revenue (BOR) have declared district wise Lekhpal Results. UPPSC had conducted this exam in written manner on 13th September, 2017. The screening test for selection purpose held against 13,650 vacancies. On the mentioned date, exam took place in two sittings i.e. morning shift & evening shift across 75 districts of Uttar Pradesh state. There are two type of recruitment being process in Uttar Pradesh State. One is "lekhpal" while the other one is "Chakbandi Lekhpal". UP Lekpal Recruitment was announced by UPPSC while Chakbandi Lekpal was advertised by UPSSSC. Both vacancies & exam organizers are different. Even the exam for both of the posts took place on different dates / months. Uttar Pradesh Subordinate Service Selection Commission (UPSSSC) conducted written test to recruit 2831 Chakbandi Lekhpal (Patwari) posts. UP Chakbandi Lekpal Exam was held on 8th November, 2015. Result for both recruitment tests will be available on our website after the announcement. So please keep calm & wait. UP Lekhpal Result 2018 – Written Exam Cut Off – Merit List Copyright © 2019.